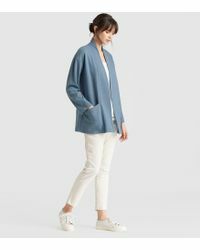 Eileen Fisher is known across the globe for imbuing its designs with an organic aesthetic inspired by the home country of the designer: the USA. 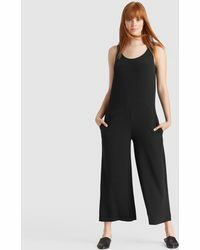 With this collection of eye-catching and expansive women's clothing, you'll see a huge range and dedication to versatility. From the simplicity of the Asymmetrical Jersey Skirt to the pure elegance of the Wool Sleeveless Dress, in many ways it's what these pieces don't say that really gives them character. 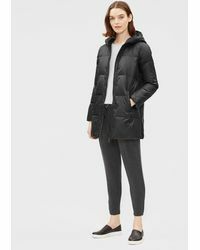 The Eileen Fisher range of women's clothing is both practical and great looking, and features a host of essentials including jackets, dresses, corduroy pants, seamless tank tops and many more of those pieces that your closet just can't do without.